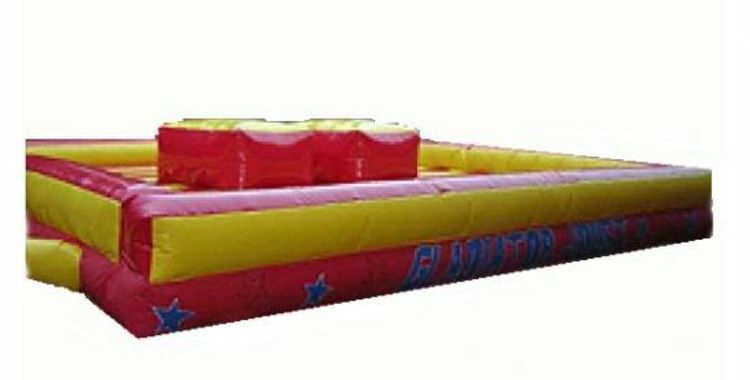 gladiator duel bouncy castle hire. 22ftx20ft Gladiator Duel, this is great fun for everyone and a fantastic competetive arena. Comes with two duel sticks and two headguards!Our Gladiator Duels are fantastic fun for everyone taking part or just watching!Two contestants wearing protective headgear try o knock their opponent off their podium using the padded pugil sticks supplied.We bring this great fun to the areas,We deliver our themed bouncy castles, inflatable slides,rodeo bull hire,plus are assault courses and adult bouncy castles and domes,to Merseyside & Liverpool, Widnes, Runcorn, Wirral,Warrington, and St Helens, and some of these areas and further areas will be a additional fuel charge or toll/tunnel charge.Check our delivery checker on our home page,it will tell you if there is a charge for your area.